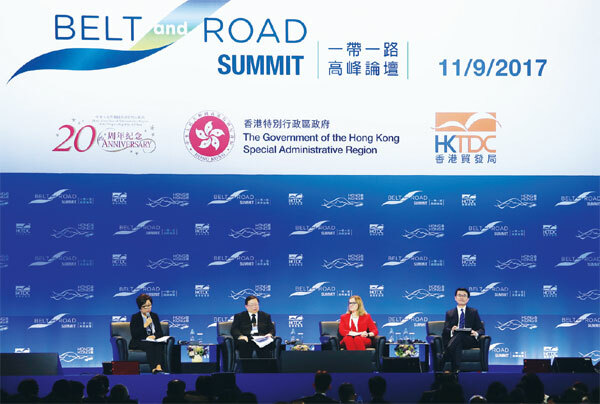 The Belt and Road Initiative will pave way for digital technology development and further boost entrepreneurship in countries and regions along the route, young business leaders anticipate. Physical infrastructure projects connecting countries and regions will also tear down walls in the virtual world, enabling smooth logistics for e-commerce sectors and digitalized trade facilitation, the entrepreneurs believe. Infrastructure is crucial to e-commerce development especially as it grows beyond its domestic market, said Pawoot Pongvitayapanu, chief executive of one of Thailand's largest online retailers TARAD.com. With just one click entrepreneurs can connect with people all over the world, but to deliver products to them more easily and quickly, better logistics networks connecting the whole region would be needed, he said. "With the Belt and Road Initiative, we think no more about the domestic market only, but we have to think about the international potential. The initiative stimulates the businesses to think beyond their home market," Pongvitayapanu added. Ivan Teh, chief executive and managing director of Malaysian big-data firm Fusionex, said entrepreneurs used to see their markets by country. This is a view which will slowly disappear as tech companies such as Alibaba began to serve markets across different regions. Teh said trade facilitation is moving toward digitalization in Belt and Road countries and regions making transactions easier and speeding up processes for entrepreneurs. He proposed that entrepreneurs take the huge community of Belt and Road countries and regions as a whole market, as the initiative encouraged free-trade agreements, digital free-trade zones and electronic trade platforms which would link all players in the marketplace. "There needs to be a change of mindset. We are seeing a clear blurring of lines between the physical world and the digital world," Teh said. Nicholas Ho, deputy managing director of Hong Kong architecture firm hpa, which is involved in smart-city and industrial park projects in the Philippines and other Belt and Road countries, said these projects would help boost entrepreneurship in the region. Building smart cities would be the next-generation vehicle for Belt and Road infrastructure projects, Ho said. He added that the technologies for these projects would encourage entrepreneurship. "From day one, the vision (of these infrastructure projects) was to create an integrated solution with hardware and software, which will also open their market, create jobs and enable social mobility," he said.